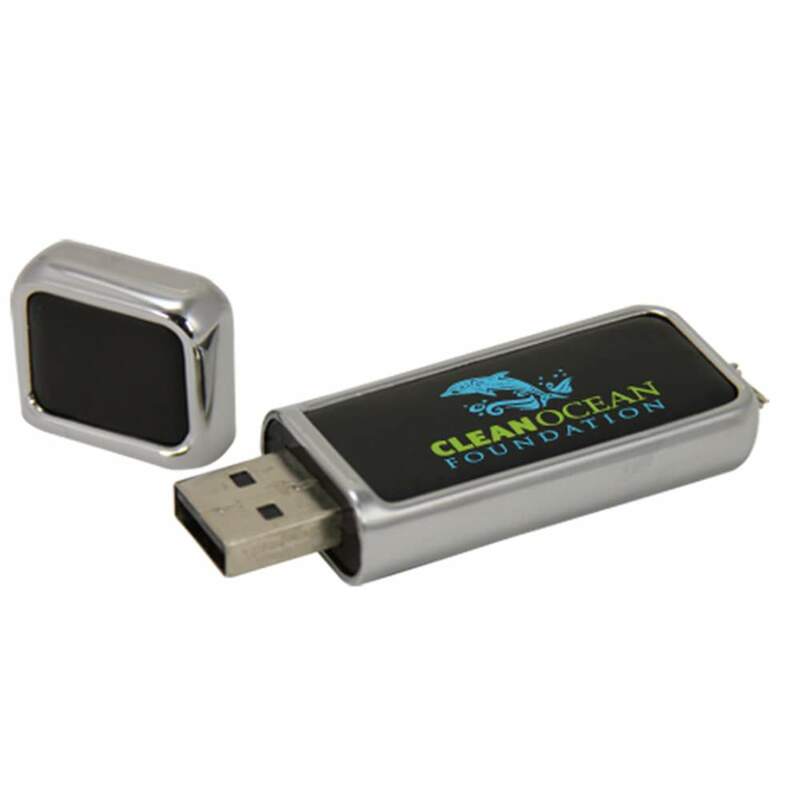 Keep your data classy with our Prestige USB flash drive. 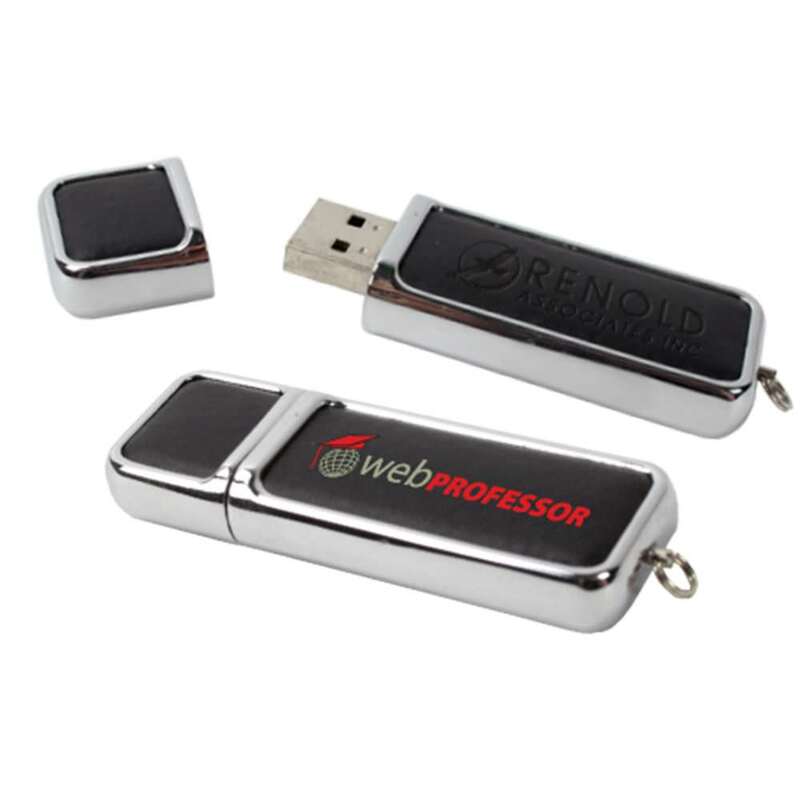 This sophisticated piece of data storage technology comes in a luxurious chrome body with real leather inserts. It has a cap that allows for easy access to your drive and a built-in key loop, making the Prestige easy to transport. It comes with storage capacities ranging from 128MB to 32GB, 1,000Gs of shock resistance, up to 10 years of data retention, and a limited lifetime warranty. Combining safe and secure design with truly handsome materials, the Prestige is a branded flash drive like no other. 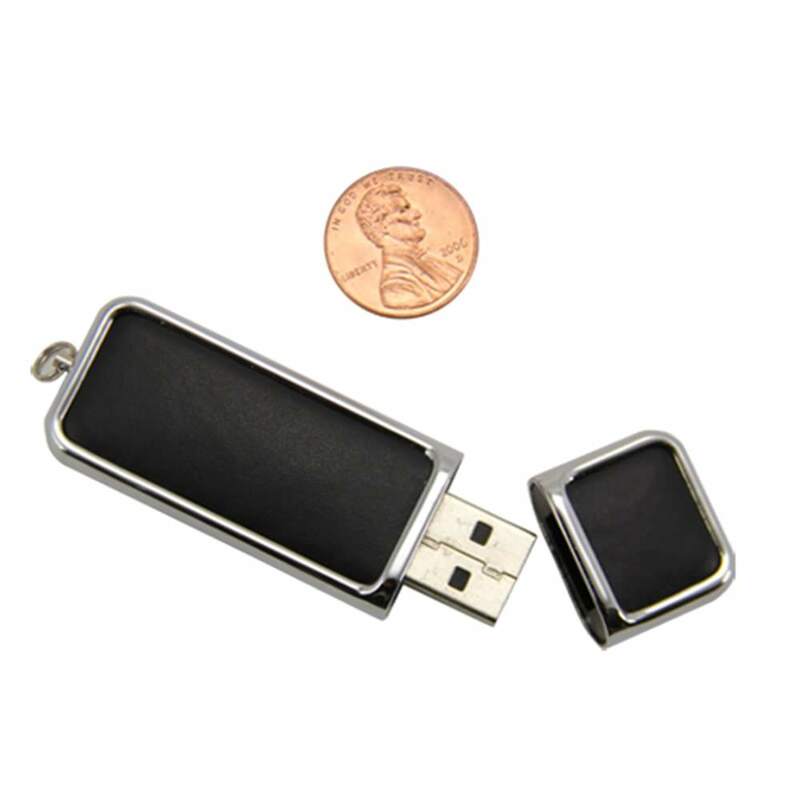 Consider making leather USB drives part of your promotional repertoire! 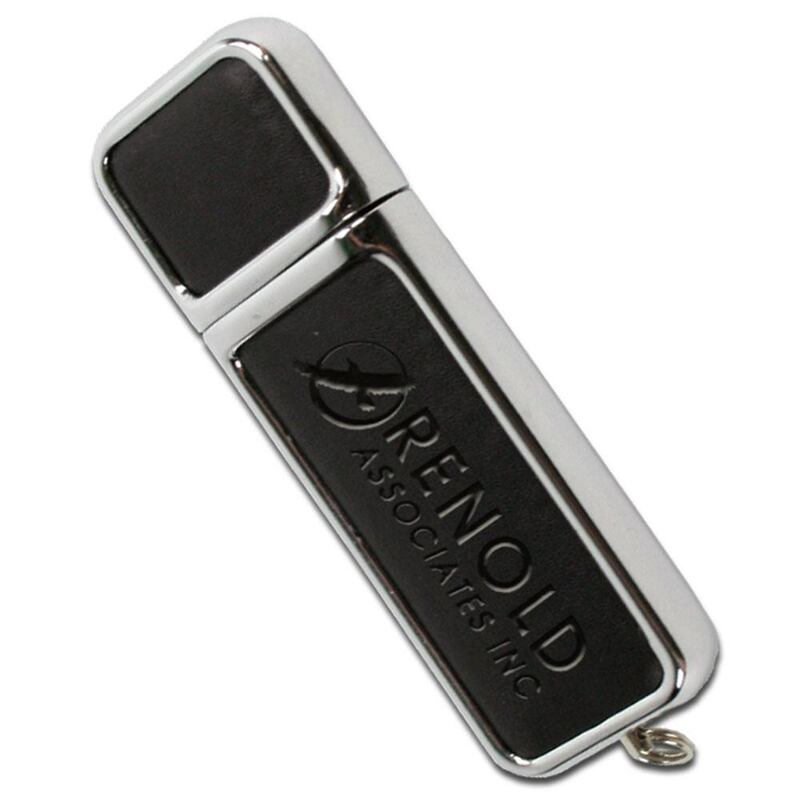 Add a touch of class to your data with the handsome Prestige USB flash drive. This top of the line luxury drives come in a sturdy chrome body with real leather inserts. It has a cap that allows for easy access to your drive while keeping it protected when it’s not in use. The combination of metal and leather on the drive isn’t just visually striking: It’s also extremely durable and designed to keep your Hi-Speed USB safe from harm! The Prestige comes with a key loop, so you can attach this sophisticated drive to belt loops, laptop bags, straps, and anywhere else you want to show it off. It isn’t all about looks, though: The Prestige packs some serious data storage firepower! It comes with storage capacities ranging from 128MB to 32GB, 1,000Gs of shock resistance, up to 10 years of data retention, and a limited lifetime warranty! 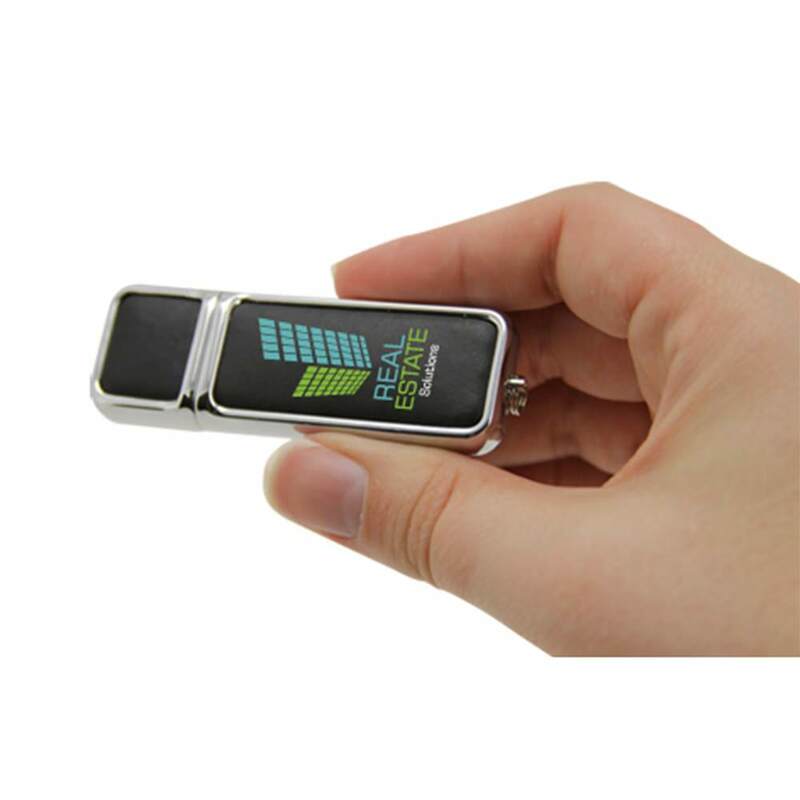 With its extraordinary design and efficient technology, it’s the perfect branded USB drive to store all your documents, music, video, pictures, multimedia, presentations, and other files. Order the Prestige with free shipping and it should arrive within 10 business days. It also comes with Free 4-Color Silkscreen or Emboss. We can color print or heat stamp your custom logo on both sides of the Prestige for a truly classic look.